Messe Berlin expansion projects feature networked VIGIL2 and VIGIL3 voice alarm system designed by industry experts Laauser & Vohl. Messe Berlin is one of the world’s leading trade fair companies. They have been organising international trade fairs and congresses for nearly 200 years. 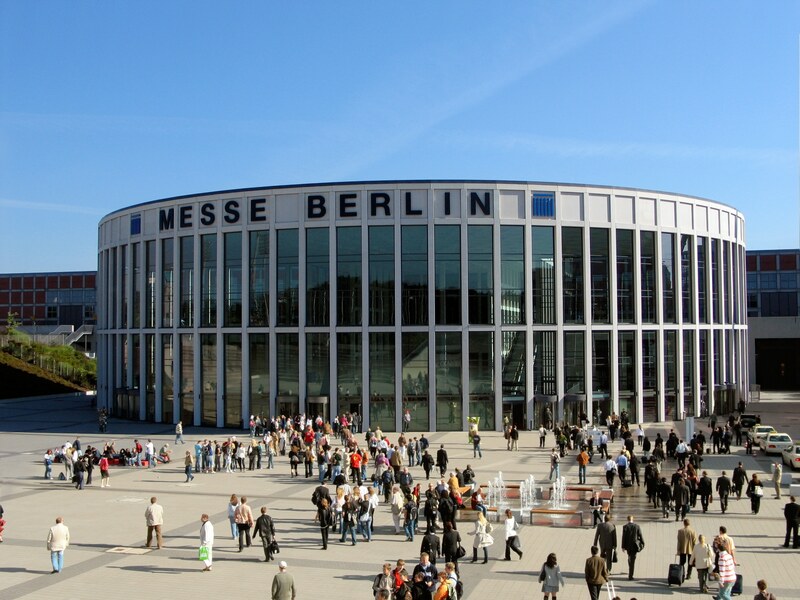 Each year, Messe Berlin is responsible for more than 100 regional, national, international and guest events. Highlights include ITB Berlin, International Green Week Berlin and Fruit Logistica Berlin. Officially named the Berlin ExpoCenter City, the original halls of Messe Berlin opened in 1937 and boast over 160,000 square metres of space. The 26-hall complex continues to evolve into one of the premier exhibition centres in the world. In May 2014, a state-of-the-art, purpose-built addition named CityCube Berlin opened. 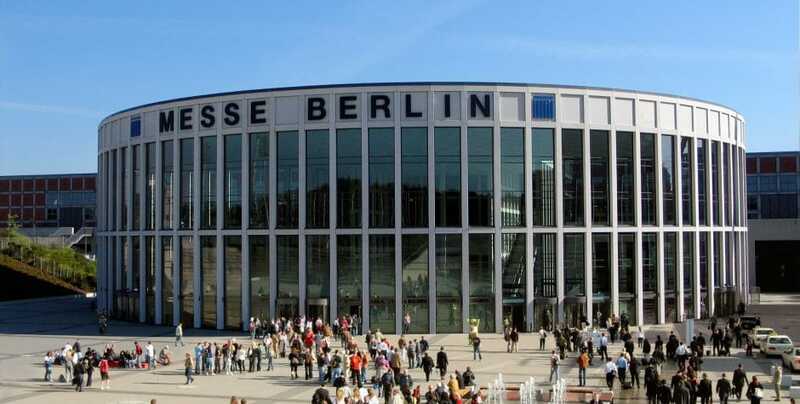 It has since cemented Messe Berlin as one of the top conference event locations in Europe. With a usable area of 22,000 square metres and display area of 12,030 metres, CityCube Berlin can stage events with up to 11,000 delegates. Voice alarm experts Laauser & Vohl designed CityCube Berlin’s voice alarm and evacuation system. A Baldwin Boxall partner, Laauser & Vohl specified a bespoke VIGIL2 system. The installation was completed by SDF Event and Media Technology. The primary goal of the CityCube building design was the greatest possible flexibility of use. According to Laauser & Vohl’s Thomas Korthals, “This was also the great challenge in designing and installing a state-of-the-art EN54 certified PA/VA system. The CityCube project had to be flexible whilst meeting the stringent EN54 standards. “We chose Baldwin Boxall for its powerful router and amplifier technology. VIGIL2 is able to match complex requirements. No competitor equipment offers the high number of inputs and outputs possible with the BVRD2M and BVRD2M4 routers. For example, the CityCube design features 68 inputs, 87 outputs, 90 amplifier channels and 860 loudspeakers. Furthermore, 60 of the 68 inputs are used only for background and playback programs. It is possible to broadcast background music streams simultaneously. The CityCube design features redundant, integrated mains and charging technology. This guarantees reliable emergency power operation. In an emergency, the battery system holds enough power for six hours on standby and 30 minutes at full power. Transition from mains to the backup system occurs in less than one minute. Like all modern voice alarm systems, VIGIL2 uses live announcements or pre-recorded messages to aid evacuation during an emergency. Research proves this is a more effective method of evacuation than traditional alarms. In 2016, Messe Berlin once again called on the expertise of Laauser & Vohl and the quality of Baldwin Boxall equipment. Satisfied with the design quality of the CityCube PA/VA system, Messe Berlin chose Baldwin Boxall equipment again in 2016. This time, the project was to replace the VA system rack stations 8 and 9 for Halls 8 – 12 and 17 – 26. Rather than replacement, a retrofit was specified. The design includes four Baldwin Boxall panels. Important to note is the specification of 24- and 32-zone desk-mounted voice alarm microphones. The employment of a zoned voice alarm and public address system makes evacuation faster and safer, should the need arise. In 2017 the decision was made to network the eight third-party control panels with the four Baldwin Boxall panels. This was achieved using a redundant fibre optic ring structure. In addition, the control room was fitted with a Baldwin Boxall BVRD56 control station. Messe Berlin continues to grow with the opening of hub27 scheduled for April 2019. Hub27 is a multifunctional building with roughly 10,000 square metres of column-free hall space. Employment of mobile dividing walls allows for a variety of room sizes and setups. Laauser & Vohl once again designed the PA/VA system specifying the latest VIGIL3 amplifiers and charging systems. The new VIGIL3 amplifiers are smaller, taking up less rack space. They provide increased power in a smaller sized unit and emply floating transformerless technology. The VIGIL3 battery charger module (BVMBC) is only half the size of the VIGIL2 equivalent and fits neatly into a 2U configuration next to the VIGIL3 amplifiers. The VIGIL3 amplifiers are backwards compatible with VIGIL2 components. The design for hub27 was completed and approved by Messe Berlin in December of 2018. Delivery of three additional racks will complete the system. Installation will once again be completed by SDF Event and Media Technology. The bespoke system fulfills the stringent safety standards required for a modern voice alarm system. According to Mr Korthals, “The systems specified for each building at Messe Berlin meet all EN54 requirements. “Each of the spaces specified required a bespoke solution. Only Baldwin Boxall equipment gives us the flexibility we need to perfectly meet the project requirements.